Road Trail Run: Topo Athletic Terraventure Review - Bridging the Gap Between "Normal" and "Natural"
Topo Athletic Terraventure Review - Bridging the Gap Between "Normal" and "Natural"
I'll confess that I am not a runner who typically seeks or desires a natural style running shoe, but was admittedly caught a bit off guard by the Topo Terraventure. The Terraventure rides the line between "normal" and the wide toe box/minimal drop natural running shoe, serving as a great introduction for anybody wanting to ease into a natural style trail runner. 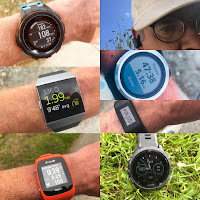 I have tested several pairs of Altra in the past and while I found them to be very nice shoes and could recognize the appeal for so many, they just did not work for me from a fit/control standpoint. Enter the Topo Terraventure, with a wider, but not excessively wide toe box, a low (but not flat) 3mm stack and a very secure fit. "The Terraventure features our classic Topo fit, roomy in the toes but snug in the waist and heel. Like the MT-2 and Runventure, it also features a fully gusseted tongue and a 3mm heel-to-toe drop. 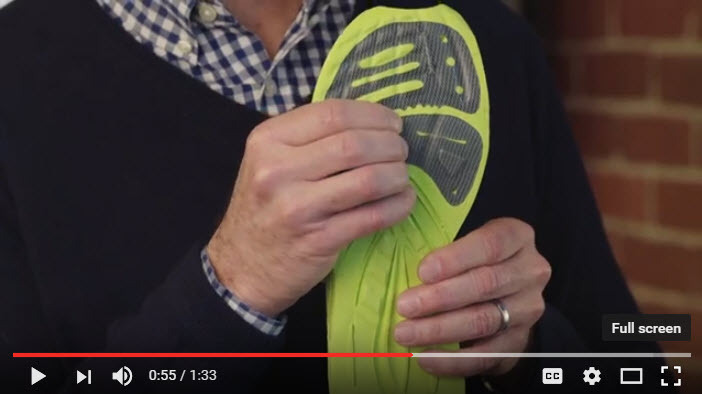 However, the Terraventure was designed as a more rugged evolution of the Runventure: it offers more protection and cushioning, we isolated the rock plate to the forefoot, and it features a more aggressive outsole with deeper lugs and a wider base platform to insure stability and durability. It’s the most rugged Topo we’ve ever built, but a real value at just $110"
The upper of the Terraventure comprises of an effective array of seamless overlays, integrated with what Topo refers to as a "ghillie" lacing system. I have no idea what ghillie means, but am quite impressed with how well the laces/lacing system effectively secures the midfoot on the the first try, without any need for further adjustments. Very secure and effective lacing/overlay integration. The dual mesh upper is both well ventilated, durable and does a fine job keeping out dirt and debris. The sturdy rubber toe bumper wraps around the entirety of the toe box and does an effective job of protecting the toes without being the least bit obtrusive. I found fit to be true to size and as mentioned earlier, the Terraventure has a very accommodating toe box that will satisfy a wide range of feet, especially those who prefer some extra room for splay and swelling. In the past I have found shoes with a wide toe box to be comfortable, but when the terrain became technical, I found my foot swimming in the shoe and losing my sense of security and control. However, that is not at all the case with the Terraventure, as they feel secure and controlled no matter the terrain or speed. The heel counter is well padded, just the right height and secure. The gusseted tongue is well padded and comfortable. The midsole of the Terraventure is slightly on the firm side, but provides ample and adequate cushioning for all day adventures. I found response to be middle of the road, not the fastest shoe out there, but can certainly handle bursts of speed when pushed. Protection is excellent with the in molded ESS rock plate, as I found the Terraventure to be impervious to even the sharpest rocks, while still maintaining good flexibility and ground feel. The outsole of the Terraventure is a mix of mostly sticky rubber with some foam sections in the midfoot for reduced weight and flexibility. The 6mm lugs are relatively closely spaced, but offer good traction in most circumstances. The rubber compound is notably sticky and grabs rock with great confidence. Durability is excellent as well, as throughout the test period I have not yet observed any appreciable wear and predict above average outsole longevity. Though the 6mm lugs are deep and substantial, they are configured in a way that adds to the versatility of the shoe, making the Terraventure a shoe that is equally at home in technical terrain, as it is on more buffed out singletrack, dirt roads and even runs well on paved roads. A great door to trail shoe without compromising on the trail. The width of the forefoot also aids in stability. The Terraventure is a great pick for anyone looking for an all day, protective, well cushioned ultra distance racer/trainer, especially so for those seeking a wider toe box and more minimal drop, but just can't quite make the fit of an Altra work or is reluctant to take the complete leap to a 0 drop natural running shoe. The Terraventure is a reasonable weight (my size 10 weighs in at 10 3/4 oz.) but they don't feel particularly light, springy, nor do they beg to go fast. Response is on the middle of the spectrum and best suited toward longer, more relaxed pace running, yet can certainly handle faster paces when pushed, it just takes a bit of effort to get there. What I liked most about the Terraventure is that I do not really even think about them on my feet. No discomfort, not too stiff or too flexible, no sliding inside the shoe, they have very good grip on a variety of terrain and great versatility be it dirt roads, short stretches of pavement or technical mountain trails. These also work very well as a an everyday casual shoe, with their subtle styling and comfort. Overall quality is excellent and with a retail price of $110, the Topo Terraventure is a true bargain. Topo Athletic Terraventure vs. Altra Lone Peak - (my RTR review here) The Terraventure has a more firm midsole, slightly more traditional fit, more true to size length, a more secure upper, stickier outsole, better outsole durability and cost $10 less. The Lone Peak 3.0 has a softer, more plush ride, is a bit more responsive and feels lighter on the foot, but is better suited for mellow trails and those with a short, wide, high volume foot. Topo Athletic Terraventure vs. Brooks Cascadia - (my RTR review here) Both are rock solid, protective all days shoes for a wide variety of terrain. The Terraventure has a more generous fit in the toe box, is much more flexible with better ground feel and has superior traction. Topo Athletic Terraventure vs. Saucony Xodus ISO - (my RTR review here) The Xodus has softer cushion, but is less responsive and a slightly less secure upper. Weight feels similar. Traction is comparable on loose terrain, off trail, in snow, but the Terraventure has superior grip on rock. The Terraventure was provided at no cost. The opinions herein are entirely the author's. Topo Athletic is at Running Warehouse! Running warehouse has deals on this shoe and the saucony Koa TR. Which one should I get for my overall trail running. On roads, I run in the brooks ghost and saucony freedom ISO. 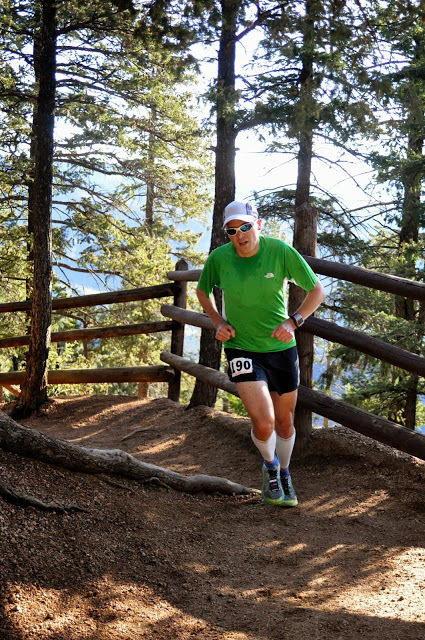 I don't race ultras, and only run trails as training. I might like to race ultras in the future, but for now, I need a dependable trail shoe that I can take on hard pack dirt, singletracks, a bit of pavement, some technical ascents and descents, and some backcountry trails. All of my running has been in the midwest so far. I do not run mountains. Which shoe would best suit my needs? 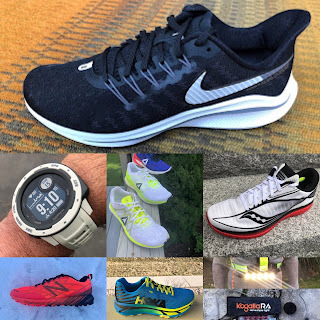 I think either shoe would be a fine choice, but would lean toward the Koa, as it is a bit lighter, quicker and probably more versatile for some road running thrown in. Shoe recommendations are tough though, if possible, maybe order both, wear around the house and keep one?